Creating beauty has been a life long passion. Visit karenmcfarlane.myshopify.com to browse through our hand crafted collection. 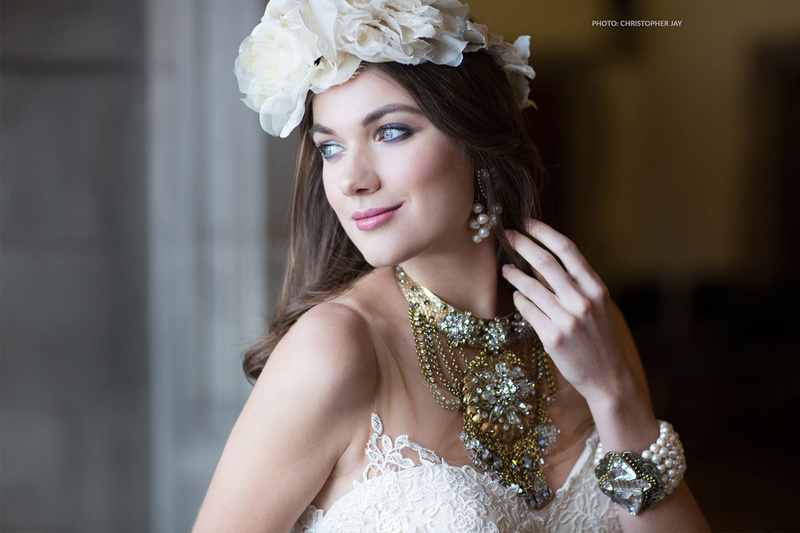 Canadian designer, Karen McFarlane creates an exotic, original, couture line of jewellery and accessories. Designs are limited edition, hand worked and finely wrought. The line features many evening and bridal pieces as well as exciting day wear. Both of the moment and timeless, her hand crafted jewellery is best described as "wearable art". Bold and eclectic, Karen McFarlane's designs have received much attention from the fashion industry and are sought after to complement high-end collections. Her work has appeared with couture as well as ready to wear lines on runways, in fashion photo shoots and window displays.